It's another Saturday night in the city. You've got plenty of friends to hang out with-but no date, with no particular prospects on the horizon. So, what's a nice, single Chicago Jew to do? You're mother constantly nags you about the grandchildren she claims she will never see, while you'd just like to find another nice, Jewish single with whom you connect-enough so that maybe, someday, the two of you will smash the glass beneath a chuppah, dance the hora, and start your life together. "Dating is really hard," said Ammi Dorevitch, a former Chicago single. "I got married at 32. It was the right time for the right one, but I dated for a lot of years. It was a challenge." Dorevitch is among a number of matchmakers working through a newly-launched Jewish dating website, JChicago.com. The site is different from other dating services because it's a "modern twist on an old fashioned way of dating." Clients register by filling out an online form, answering questions about their interests, lifestyle, references, religious background, and level of observance and other criteria they might look for in another person. A matchmaker then contacts the clients to establish a personal relationship through phone calls, Skype, emails, and face-to-face interviews. "We take the time to get to know them," Dorevitch said. The matchmaker selects profiles of potential matches and gives them to the client for review. In turn, the matchmaker shows the client's profile and photograph to potential matches. Clients accept or decline a potential match through a confidential system. When two clients agree to a match, JChicago forwards their respective contact information so they can arrange a conversation and plan a date. 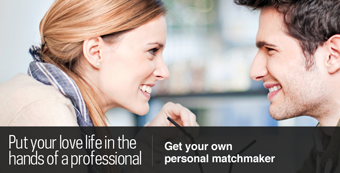 Matchmakers continue screening members, recommending matches and assisting during the dating process. It is up to the client to decide which matches to date and how involved the matchmaker should be. "Dating should be fun for people. It shouldn't be so tense," Dorevitch said. "Our hope is that we can make it an easier, more comfortable experience for people." JChicago is part of a larger network of Jewish matchmaking sites--JRetroMatch.com and SawYouAtSinai.com. JRetroMatch is geared toward Jews of all levels of observance. SawYouAtSinai focuses on but is not limited to helping Traditional, Yeshivish, and Modern Orthodox Jewish singles find an appropriate mate. JChicago and its network serve Jewish singles of numerous lifestyles, including young professionals, single parents, divorcees, and widows. "The site is for everyone, of all ages," Dorevitch said. "It's really a community initiative." 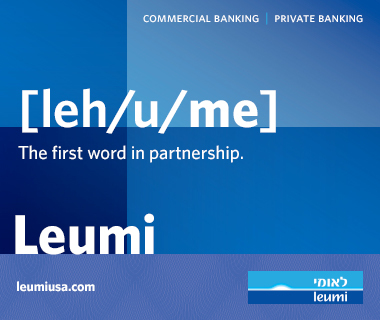 JChicago is unique from other Jewish dating/matchmaking services because it operates as a community project with support from a number of local partners: Taglit-Birthright Israel Next Chicago (a JUF affiliate), JCC's Sidney N. Shure Kehilla, The Living Room, Anshe Sholom B'Nai Israel, Hillel at Loyola, Club 1948, Chabad on Campus, and Free Synagogue of Chicago. Dorevitch, a former executive director for Hillels of Illinois, met her husband through a matchmaker. "I know what it's like to go through the dating process and I also worked with matchmakers," she said. Her matchmakers' encouraging words provided the blueprint for her own matchmaking role with JChicago. "My work with Hillel was really about Jewish continuity," she said. "Matchmaking is also Jewish continuity. People want to get married. It's very hard to meet people these days. "People work so much more, so many longer hours than they used to. People are disconnected somewhat," she said. "Chicago has so much going on in terms of Jewish life…it's also intimidating. Bars and clubs are not always the best venues for meeting people." Other modern complications add to dating difficulties. Younger adults, especially, often lack basic social skills because of their primary communication form is texting or through the Internet. "They don't know how to read body language anymore…For many people, a relationship is what they build on Facebook," Dorevitch said. For other singles, "there was a time when everything was getting put on hold because of societal pressures to build a career first … I think that there's a shift back. "It's OK to be marriage minded," she said. "People really do want to be married and they really want to be connected … [They're] looking for a partner for life that they can grow with and have a family with and have good communications with … Someone to be their best friend." Those are high expectations, but JChicago's matchmaking team is ready to meet them for single Jews throughout the area. Dorevitch currently lives in Israel with her husband and children. While she will do some of her Chicago matchmaking via phone and Skype, there are local matchmakers ready to help make those face-to-face connections. "This time of year, during the High Holidays, people are evaluating their goals and thinking about the future. This is a great time to give it a chance, to see if the online dating scene will work for them," she said. Visit JChicago's website at www.jchicago.com. Christine Sierocki-Lupella is the senior marketing communications manager for JUF.